It is my great pleasure and honor to open the third International Conference of CrisisMappers. Thank you very much for being here and for contributing both your time and expertise to ICCM 2011. This past year has been a challenging and busy year for all of us in the CrisisMappers community. So the timing of this conference and its location in this quiet and scenic region of Switzerland provides the perfect opportunity to pause, take a deep breath and gently reflect on the past 12 months. 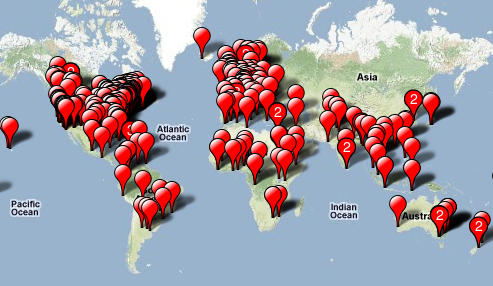 As many of you already know, the CrisisMappers Community is an informal network of members who operate at the cutting edge of crisis mapping and humanitarian technology. We are not a formal entity; we have no office, no one location, no staff, and no core funding to speak of. And yet, more than 3,000 individuals representing over 1,500 organizations in 140 countries around the world have joined this growing and thriving network. 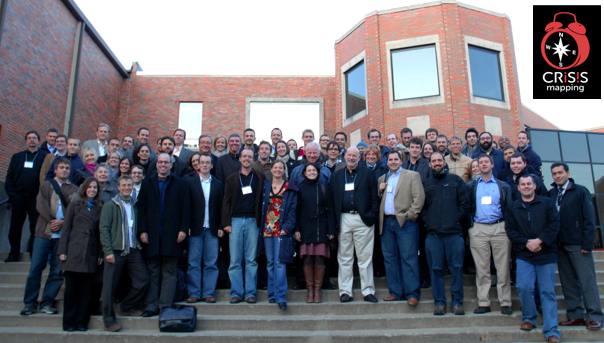 Some of you here today were also with us in Cleveland for ICCM 2009, which is where and when, this Crisis Mappers Community was launched. We collectively founded this network for a very simple reason: to advance the study, practice and impact of crisis mapping by catalyzing information sharing and forming unique partnerships between members. A lot has happened since Cleveland, and yes, that is indeed an understatement. Take the following as just a simple proxy: shortly before ICCM 2009, I did a Google search for “crisis mapping”; this returned some 8,000 hits. Today, just two short years later, this number is well over a quarter million and growing rapidly. Much of this new content and activity is a direct result of our combined efforts, particularly in 2011. To be sure, we have seen many new exciting developments in the field of crisis mapping and humanitarian technology in just the past 12 months. In fact, there are simply too many to highlight in these short introductory remarks, so I invite you to visit the CrisisMappers website for the full list of projects that you yourselves have ranked as most important in 2011. Over the next two days, many of these projects will be featured in Ignite Talks, demo’s and posters in the Techmology Fair and in the self-organized sessions as well. In addition to these fine projects, a number of important and recurring themes have emerged over the past year. So I’d like to briefly touch on just five of these as a way to inform some of our conversations over the next two days. The first is validation. We need to better assess the impact of our work. More specifically, we need independent experts who specialize in monitoring and evaluation (M&E) to critically assess our crisis mapping deployments. I thus urge our donors, many of you are here today, to make independent evaluations a requirement for all your grantees who actively deploy crisis mapping platforms. Rigorous evaluations do cost money so I strongly encourage you to make funding available in 2012 so we can validate our work. A second theme is security. We all know that the majority of crisis mapping platforms and the technologies they integrate were not designed for highly hostile environments. At the same time, computer security is a highly specialized field and we are in serious need for security experts to lend their direct support at the coding level to resolve existing security risks. Talking is important, but coding is more important. Security experts who are members of the Crisis Mappers community already know what needs to be done. So lets get this done. What we do need to talk about is developing a clear and well defined set guidelines on how to handle Open (Social) Data that is crowdsourced from conflict zones. To be sure, we urgently need a code of conduct and one endorsed by an established and credible organization to hold ourselves accountable. The third theme I would like to highlight is the consolidation of key partnerships between formal humanitarian organizations and informal volunteer networks. We began this conversation together exactly 12 months ago at ICCM 2010. And a considerable amount of time and energy has since gone into developing the initial scaffolding necessary to streamline these partnerships. But we still have much work to do. There is absolutely no doubt that these partnerships will continue to be critical in 2012, so we need to have these collaboration mechanisms in place earlier rather than later. To do this, we need to participate in joint crisis response simulations now to ensure that we end up with appropriate, and robust but flexible mechanisms in 2012. A fourth recurring theme this year has been the increasing need to scale our crisis mapping efforts. This requires a change in data licensing, particularly around satellite imagery and the data derived thereof. We also need both micro-tasking platforms and automated filtering mechanisms to scale our efforts. On filtering, for example, we need natural language processing (NLP) tools to help us monitor, aggregate, triangulate and verify large volumes of social media data and text messages in real time. While these solutions already exist in the private sector and increasingly in public health, they are still not accessible or widely used by many members of the CrisisMappers community. This needs to change. The good news is that a number of colleagues who are here at ICCM have been actively working on developing micro-tasking and automated filtering solutions. I sincerely hope they’ll share their platforms more widely with the CrisisMappers community in 2012. This entry was posted in Crisis Mapping, Crowdsourcing, Humanitarian Technologies, Social Media and tagged #ICCM, 2011, CrisisMappers. Bookmark the permalink.